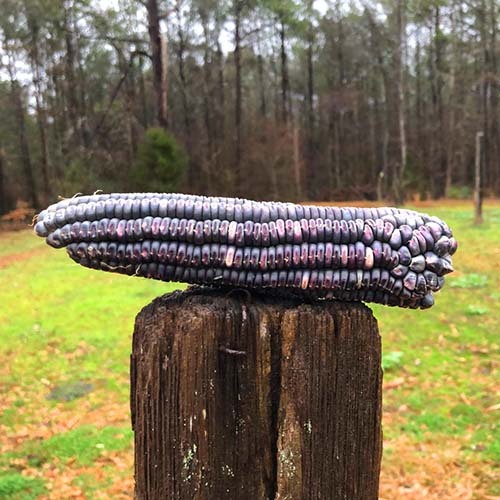 Blue Clarage is a beautiful blue dent corn! It makes a great great corn meal! Distilleries also love this corn. It also makes a great animal feed famous for increased egg production! I like the taste of it as well! It’s a white corn in the milk stage. It has 8-10 inch ears on a 10 foot plant. Very durable plant and makes a great food plot corn.